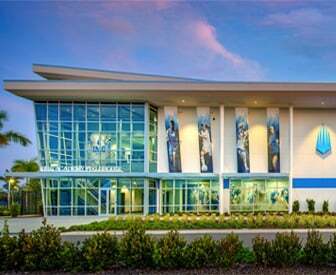 It is perfectly fitting to discover a Michael Saunders & Company real estate office on the legendary grounds of IMG Academy — a respected institution known for reaching new bounds of achievement and success. As the Gulf Coast’s preferred choice for real estate services, we pride ourselves in offering the very same level of performance and results when helping you with your search for accommodations on campus or anywhere in the Sarasota-Manatee area. Whether you seek to rent or purchase a property in our beautiful coastal destination, working with a Michael Saunders & Company agent is your first step towards a smooth transition and the peace of mind you need to prepare for your time at IMG. 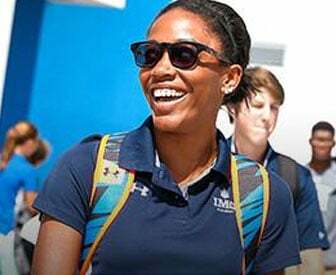 For ultimate convenience and the opportunity to train, live and play in the heart of the action, there are two distinct residential opportunities within the gates of IMG Academy, Bollettieri Resort Villas and Academy Park Villas. Both offer the unparalleled benefit of being just steps away from the IMG Academy sports and academic facilities, as well as casual dining, a clubhouse and swimming pool. A strong sense of community is felt amongst residents, who enjoy the ease of maintenance-free living. On the West Campus, Academy Park Villas offer spacious three-four bedroom residences ranging from 2,721 to 3,419 square feet, while over on the East Campus, The Bollettieri Resort Villas include two-three bedroom villas and larger three-four bedroom townhomes. With on-site residential and rental agents, Michael Saunders & Company is perfectly positioned to find the right accommodation solution to suit your needs. The area surrounding IMG Academy in West Bradenton presents an array of real estate options to suit the entire family. The homes in Bradenton and Sarasota are as varied as the communities in which they are found. With so many styles and options available in all price ranges, you’ll discover the perfect home, from expansive waterfront family estates to charming golf course villas, carefree condominiums and everything in between. Whether searching in Manatee or Sarasota County, a Michael Saunders & Company agent will be able to provide valuable insight on neighborhoods, comparable properties, current market conditions and more, to help you navigate any of your real estate choices with ease. Choosing Florida’s Gulf Coast as your new home places world-renowned beaches, golf courses, performance and visual arts, music, film, fine dining and much more at your doorstep. In Bradenton, home to IMG Academy, the revitalized riverfront is complemented by a vibrant downtown area filled with restaurants, galleries and boutiques. Championship golf is a great draw to the area, where courses are abundant among the numerous private and public opportunities. There are also miles of pristine beaches where, at the end of the day, residents and visitors congregate to witness dazzling sunsets over the Gulf of Mexico. Truly, the lifestyle pursuits on Florida’s Gulf Coast ensure that your down time is enriched with the ideal blend of relaxation and recreation. As the leading real estate brokerage on Florida’s Gulf Coast with 40 years in business, you can trust Michael Saunders & Company for all of your property needs - whether buying, selling or renting. Our on-campus office provides the same comprehensive support that you will find in any one of our 24 office locations positioned throughout Florida’s Gulf Coast. 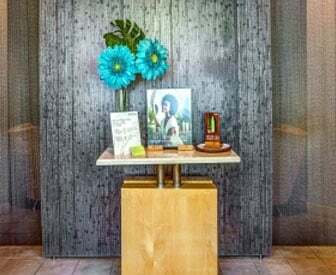 The full-service IMG office has been specially designed to assist athletes, families and the local community with residential properties both on-campus and throughout the region. Working with a Michael Saunders & Company agent is your first step toward a smooth transition and the peace of mind you need to make the most of your time at IMG.